Weighty Matters: New Intermittent Fasting Study: No Magic Weight Loss Benefits. Hungry Making. If you even remotely follow dieting zeitgeist, there's no doubt you've come across intermittent fasting. Briefly, intermittent fasting involves, yes, intermittently fasting. Sometimes for 8 hours a day. Sometimes for 24 hours. Sometimes even more. And if you're wondering if it's for you, the simple answer is, if you find it helps you to control calories and weight, and you enjoy it enough to keep doing it, then go for it. But putting aside the needing to enjoy living with it part for a moment, and assuming everyone could happily follow this strategy forever, would intermittent fasting lead to a greater weight loss than plain old old-fashioned dieting? That was the question researchers in Norway recently took on, and their paper, Effect of intermittent versus continuous energy restriction on weight loss, maintenance and cardiometabolic risk: A randomized 1-year trial, has some answers. The style of intermittent fasting they chose to study was the 5:2 style, whereby 5 days a week you eat normally, and then 2 days a week you eat no more than 400 calories if you're a woman, or 600 calories if you're a man. 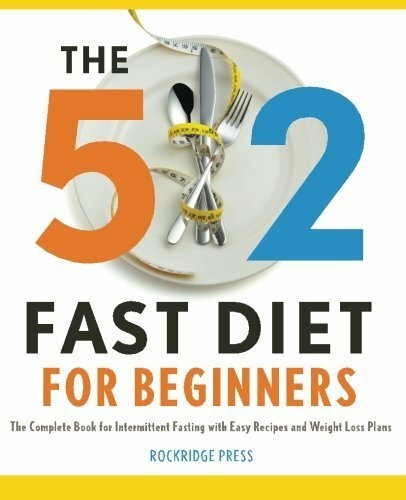 They compared a year worth of this approach to a year worth of reducing total daily calories by the same theoretical amount as the 5:2 fasting would provide but spread out evenly over 7 days rather than the 2. In all, 112 middle aged people with obesity were randomly assigned to one of the two treatments and then followed for a year - the first 6 months being a weight loss effort, and the next 6 months weight maintenance. All participants received individualized counselling, were trained in cognitive behavioural methods to help with adherence, and encouraged to follow, whether fasting or not, a Mediterranean style diet. The outcomes studied were weight loss, waist circumference, blood pressure. lipids (including ApoB), glucose, HbA1C, CRP, and RMR. Participants were also asked to rate their degrees of hunger, well-being, and overeating quarterly. Follow up was terrific, with only 4 lost in the intermittent fasting group, and 3 in the continuous. Outcomes wise, at a year, weight loss (and the spread of weight loss with identical percentages of participants achieving 5-10% and >10% weight loss) and weight circumference were the same. There was also no difference to the various measured metabolic parameters. In fact pretty much the only between group difference was hunger, whereby the intermittent fasters, when rating, "I have often felt hungry while on the diet", reported significantly more hunger (p=0.002). Which brings me back to my wholly unsurprising tl:dr summary: Intermittent fasting provides no magical weight loss benefits, and is hungry making, but if you enjoy it, it'll probably work just as well, but not better, than anything else.